Today, social media networking apps are on the rise. While Facebook may be more tailored for the personal side of life, many other networks exist solely to facilitate professional networking. From physicians to mechanical engineers, everyone can find a niche community of online peers. The first service that might come to mind when you think about social media for professionals is, LinkedIn. With 380+ million members, it indeed became a paragon in this domain. In recent years, however, there were many attempts to develop a professional social media app which would act as a “LinkedIn for X”. Typically, these startups focus on providing unique collaboration tools within a professional niche. In this article we’ll look at social networking apps for groups of professionals including physicians, researchers, mechanical engineers, financial and IT specialists. The largest HIPAA-secure medical network for physicians in the US is Doximity. It was founded in 2011 by Jeff Tangney, the creator of Epocrates, the biggest referral app for healthcare professionals. Doximity’s current user base represents over 50% of US physicians. To sign up in Doximity, you must be a physician certified in the United States. If you are, Doximity will most likely already have you in their database. Once in the app, you can create a personal profile and gain access to your colleagues from over the country. The app provides a personalized news feeds and subscriptions to scientific publications (reading publications will earn you CME credits). It also offers HIPAA-secure messaging options that allow professionals to discuss their practices. Doximity has a business model similar to the one LinkedIn uses: recruiters pay the company for the possibility to contact professionals who are registered on the platform. (Unfortunately, this may also mean a spammy experience for physicians who use the app). According to Doximity, 70% of their users access the service from a mobile platform while competing social networks for healthcare specialists, such as DoctorsHangout.com and doc2doc are presented as web-only offerings. Doximity’s focus on mobile is what makes it so popular among US physicians. The social network also has an extension for Apple Watch that allows users to receive and reply to private messages on the go. The fact that Doximity’s mobile app developers regularly run A/B tests indicates that user experience is one of the major concerns for this social network. SERMO is a semi-anonymous social network, free for practicing physicians from the US, Australia, Canada, Ireland, Mexico, New Zealand, South Africa, Spain, and the United Kingdom. Healthcare institutions, government agencies, pharmaceutical companies, and companies that produce medical devices can also get access to the SERMO network and contact physicians for cooperation or advertising of their products if they pay a subscription fee. SERMO provides capabilities for crowdsourcing answers to questions related to unconventional cases encountered in clinical practice. Doctors can create and participate in anonymous polls, join conversations with colleagues, and get paid for sharing experience in special surveys. 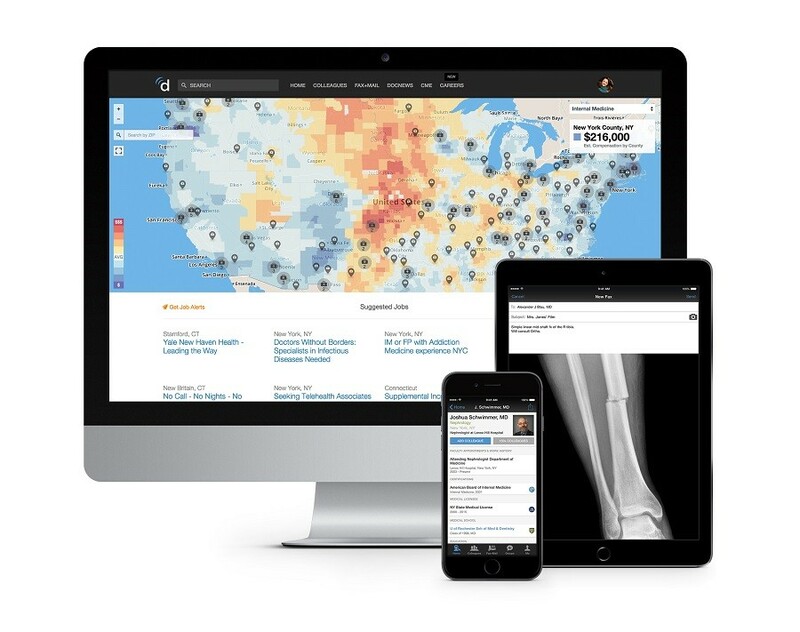 QuantiaMD is one more social network for US-certified physicians focused primarily on collaboration in solving tricky medical cases. Unlike Doximity and SERMO, which are iOS exclusives, QuantiaMD offers apps for Android, iOS and Kindle Fire. The Rounds is a HIPAA-compliant social network for Canadian physicians whose functionality is pretty close to what Doximity offers. 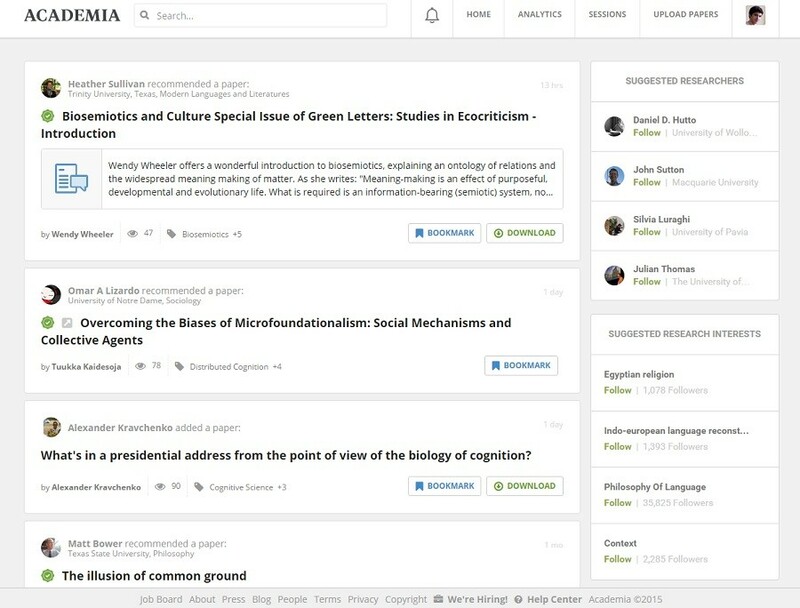 San Francisco-based Academia.edu was launched in September 2008, four months after ResearchGate, another large social network for academic researchers. Just like its counterpart, Academia.edu allows users to publish their works and raw research data, monitor citation analytics, get reviews, and follow colleagues who work in the same field. The great thing about social networks for academic and scientific researchers is that they don’t only target PhDs. Academia.edu, for example, is also a valuable tool for students working on course papers, theses, articles and other studies. The service can save students loads of time otherwise killed grubbing around in libraries. But while students may come and go, academic researchers have more than one reason to stay with Academia.edu. First, the site doesn’t require peer reviews to publish works (this can be done post-factum). Second, researchers registered on the platform can stay up-to date with news from their professional field by getting notifications about new publications of the people they follow and fresh studies on the topics they are interested in. But most importantly, researchers can gain visibility for their own studies and receive more citations and reviews from peers. According to Richard Price, Academia.edu’s founder, the company plans to earn money by establishing a special peer-reviewed filter which will help users sift out the best researchers in their field of interest. The social network has an unofficial mobile app for Android devices, but it looks hauntingly familiar to the web version. Perhaps a well-developed mobile app would attract more users to the Academia.edu network? ResearchGate, a pioneer in the field, has a bigger and more refined user base than that of Academia.edu, though it’s comparatively harder to access. While Academia.edu is open to anyone, ResearchGate targets scientists only and requires them to enter a verified email address from the institutions they work at as well as information about papers they’ve written. Academia.edu also has a Q&A feature which works similar to Quora. In other aspects, ResearchGate and Academia.edu have similair functionalities and share the same advantages, such as no-peer-review publishing and free access to papers for all users. The company’s founder claims that monetization isn’t the main objective for ResearchGate, but they still plan to charge for special visibility in the free job listings they provide for academic institutions. Currently, ResearchGate only earns a modest amount of money from ads. 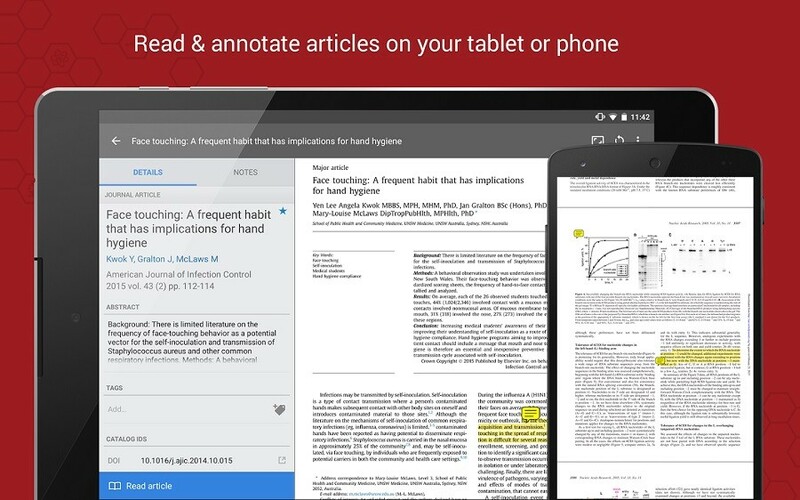 Mendeley, also launched in 2008 (and acquired in 2014 by Elsevier academic publishing company), is a reference manager which allows academics to organize a PDF library in the cloud, read and annotate works, manage citations and bibliographies, and more. It also has social networking functionality allowing users to share reading lists, references, texts, and collaborate with colleagues. Founded by a group of CFOs in 2009 in San Jose, California,Proformativeis an online community where CFOs can share experience and valuable information using different resources including a Q&A forum (with the ability to post anonymously) and personal blogs dedicated to accounting, finance, technology, human resources, legal issues, and other themes. 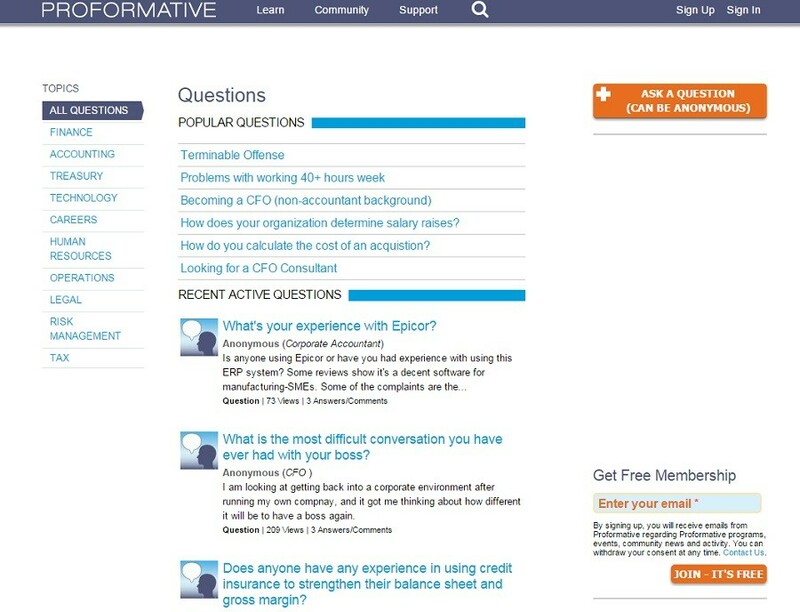 Proformative also features Exchange, a b2b platform for financial technology product reviews made by community members. The Proformative team checks reviews for relevancy, and holds the right to veto in case reviews contain advertising or incorrect information. The company also provides access to collaborative learning tools including online courses, webinars, and white papers, and offers digital marketing and advertising services. Proformative’s social media services are simply an accessory to the services that the company actually makes money from. They lack an active user base, and the fact that Proformative doesn’t have a mobile social media offering certainly doesn’t help their cause. GrabCAD, an Estonian startup with headquarters in Boston, has become a dominant mechanical engineering hub with over 2,5 million registered users and 1 million computer-aided design (CAD) models in its collaborative network. The goal of GrabCAD is to connect mechanical engineers and designers - the users of CAD software - with manufacturing and product development companies who require their expertise. This is accomplished through GrabCAD's social networking features, as well as their extensive, searchable CAD library. Users of GrabCAD can follow each other, track updates in their feed, participate in sponsored challenges with monetary rewards, upload models from third-party CAD products, and share their uploaded models through the network. GrabCAD also provides Workbench, a cloud-based tool that allows mechanical engineers to create and manage projects, collaborate with teams, view models in full 3D, generate bills of materials needed for projects, and more. Workbench used to offer limited functionality for non-subscribers, though since the beginning of 2015 they have switched back to a free model. GrabCAD has both iOS and Android mobile versions that provide a full spectrum of features including Workbench. How could there not be a professional network for people in the IT industry featured in this article? Here’s one: Spiceworks from Austin, Texas, with over 6 million registered IT amateurs and professionals. 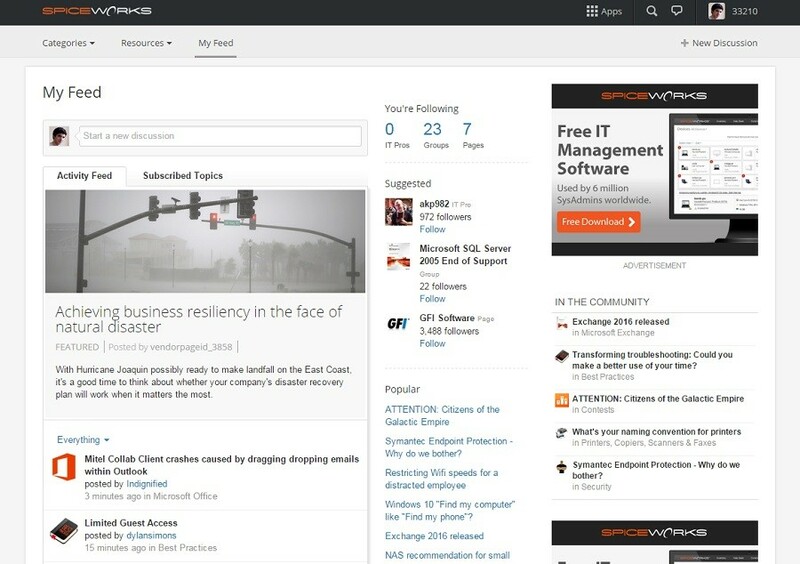 Spiceworks allows users to collaborate, write blog posts, follow topics, and leave comments and products reviews. Apart from connecting users, Spiceworks provides them with a bunch of valuable tools and downloadable apps including Inventory Manager, Network Monitor, an app store for products of the community members called App Center, the IT Help Desk, and the University feature that provides free tutorials, webinars, and online courses with gamification elements. The network is free for users, but Spiceworks monetizes their service in several ways with most of their revenue coming from advertising. They also get 30% from each purchase in the App Center (which is also a monetization tool for community members). There are a lot of other narrowly focused or even unexpected social networks. Check out the GitHub, Bitbucket, and Stack Overflow platforms for software engineers; Behance, Dribbble, CarbonMade, and DeviantART for designers and artists; Athlinks for professional athletes; Rallypoint for professional militaries; Kaggle for data scientists; Benchling, a so-called “Github for biology,” and many others. Perhaps you can think of a niche that doesn’t have a nice social networking app yet, but that certainly needs one? Before you dive into a professional social network app development and create your next big hit, make sure to check out our article Social Networking App Technology Stack: How Do You Develop a Social App? and one of our case studies where we talk about developing a group socializing app called Entourage.